SPONSORED CONTENT: Harbour Equity has closed a $67.95 million private placement offering for Harbour Equity JV Development Fund IV and is now actively reviewing investment opportunities for the capital raised. 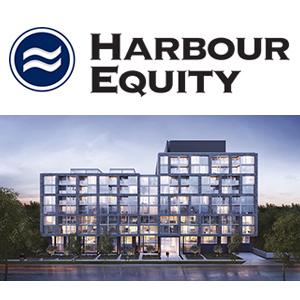 As a capital provider for developers, Harbour Equity uses a variety of joint-venture structures to invest in both ground-up developments and value-add opportunities across real estate asset classes in all major markets throughout Canada. Harbour Equity has invested in 38 developments, which on completion will comprise over $1.5 billion in real estate value, in a range of asset classes including for-sale and purpose-built rental residential, retail and industrial developments. As of March 2018, Harbour Equity had successfully exited 11 investments, and continues to hold five stabilized assets on a long-term basis. * $10.8 million commitment for a 50 per cent interest in a nine-acre medium density parcel of land in Mississauga, Ontario that will accommodate approximately 300 multi-residential units. * $4.0 million commitment for a 50 per cent interest in a 167-unit mixed-use condominium project in Etobicoke, Ontario. * $8.3 million commitment for a 35 per cent interest in a 230-unit townhouse project in Burlington, Ontario. * $3.6 million commitment for a 50 per cent interest in a 45-acre site in suburban Ottawa, Ontario that will accommodate a combination of 480 condominium units, townhouses, and semi-detached houses.